1. Consumer routers don't fully utilize a gigabit internet connection. 2. Most measurements online don't talk about performance of simultaneous upstream and downstream. 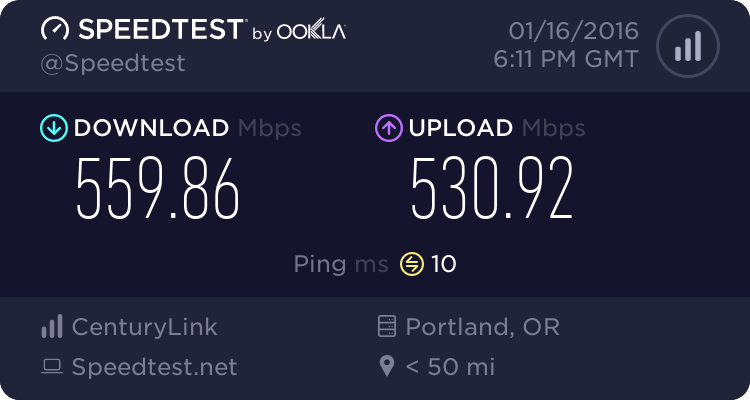 I'm paying ~ $150 a month for Centurylink's gigabit service, but I'm not fully able to use it. I don't want my hardware to be the limiting factor. 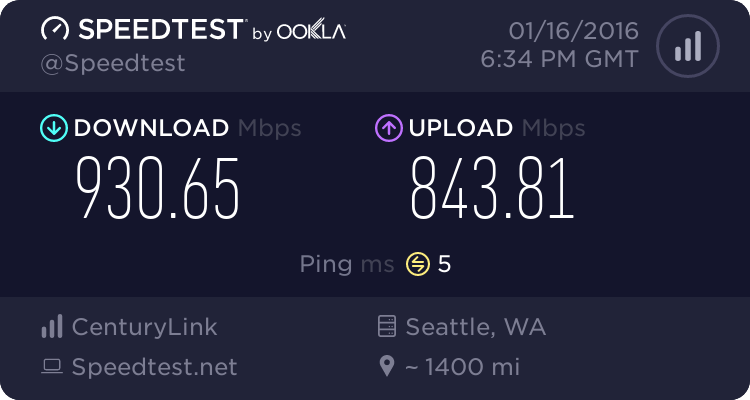 I'm connecting directly to a Cat 6 cable from Centurylink bypassing their provided router. 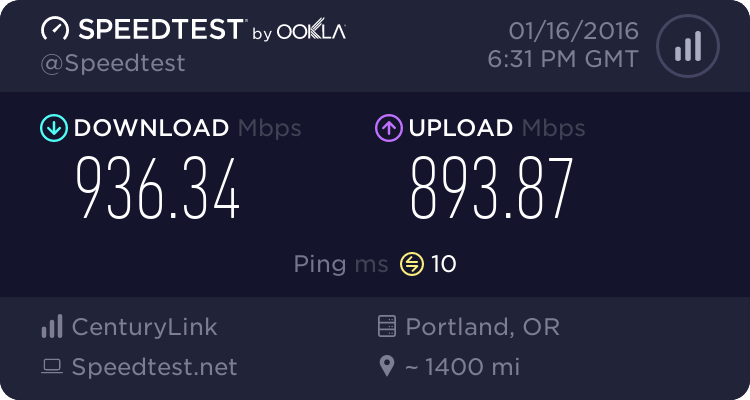 My goal with my build is to have a router using PFSense that works with my Centurylink Fiber connection (PPPoE ugh…) that will reach ~ 900 Mbps down while also doing ~900 Mbps up. I'd also like to selectively route Netflix via a VPN (4K works better via a VPN than direct via Centurylink) as well as run a VPN Server so I can connect in remotely. I'm excited to do this build to see if it'll meet all my needs and once built will be looking forward to sharing my results. Some speed tests would be fine to see what is going on. Would you share this with us? Seems like a nice option! I would also be interested on know more. Not sure if you are planning to add more stuff other than leave it as a "simple" router/firewall" but Snort, Squid, ntopng, etc would be interesting to see how it performs! 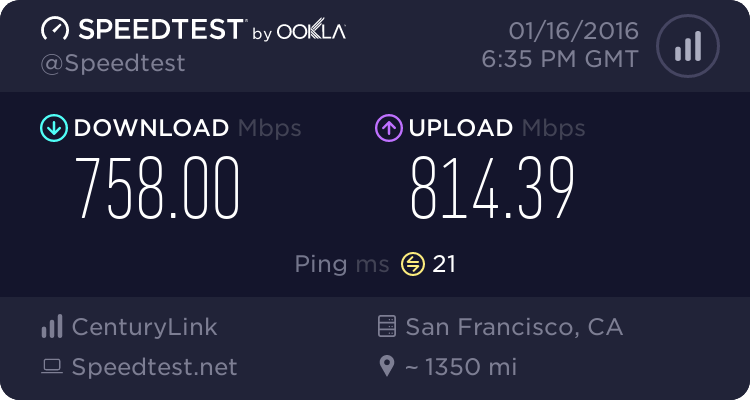 I agree, I would like to see the throughput on that connection as well. Testmy.net has the capability to max out your connection over several mirrors, and keep track of your results as you progress through the build out for you. OK. I got the build done and have had it running for a few weeks. I played around with Snort and a few other services but have since turned them off in an effort to try and find the fastest configuration I can. I also benchmarked it against my Centurylink provided Technicolor C2000t Router and I'm not able to match the speed of that router. 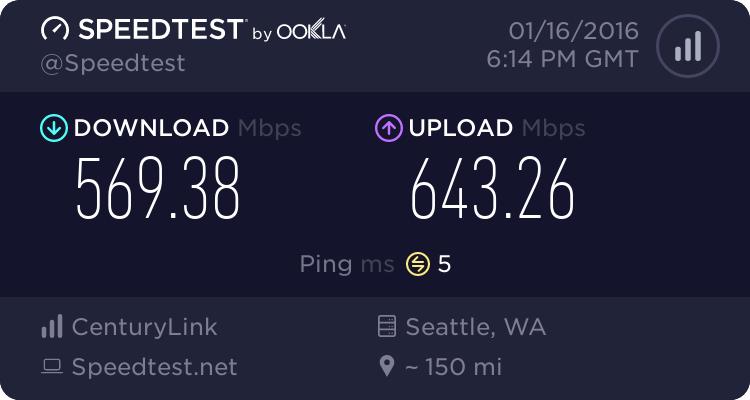 Here are some tests I performed on the Centurylink. No UPNP, 2 open ports - 1 for plex, 1 for ssh. PPPoE and VLAN tagging is required for the Centurylink Connection. Other than those two things, it's a pretty bog standard PFSense config on hardware that doesn't seem to break a sweat and Intel Gigabit NICs. In both cases, I tested with a Macbook Pro Core i7 as the only device plugged in to the router via a Thunderbolt Ethernet adaptor. Is there any advice for how to benchmark the performance of the box in a controlled environment? Or other things to try to increase performance? 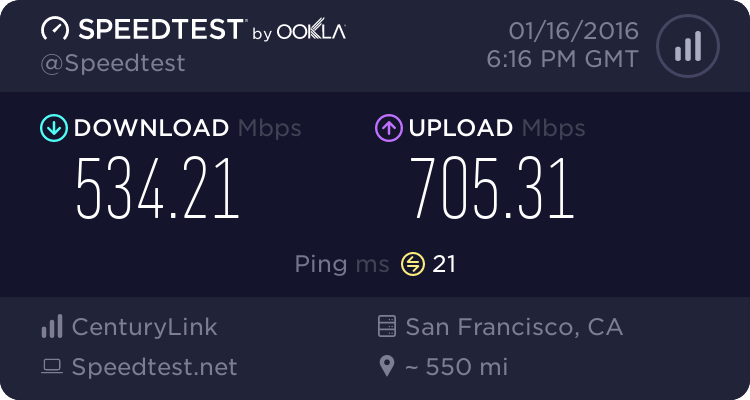 In researching the speed issue with pfSense and gigabit PPPoE connections (I have CenturyLink Gigabit as well), I opened a support ticket with pfSense. pfSense will not attain gigabit speeds with PPPoE (https://redmine.pfsense.org/issues/4821). It does not appear that this is going to be corrected anytime soon, so I am strongly considering abandoning the platform. I would prefer to have a router that can handle any speed, regardless of protocol in use. As you reported in your support ticket, I'm seeing the same thing that queue1 has no rx packets. Thanks for clearing that up! I'll stop pulling out my hair and look for alternatives. be really powerful and strong enough for any kind of home set up. update or upgrade from the pfSense were all files will be new written in the entire system. After doing this, and I mean all three things please, please test it once more again and report it to us. Testmy.net has the capability to max out your connection over several mirrors, and keep track of your results as you progress through the build out for you. Would be nice in my eyes, but a proper test with netIO or iPerf will be the best to test it out. pf, Snort, Squid & SquidGuard, HAVP, would be really good running at this platform. This is not a comparable device against a x86 hardware where pfSense is running on. This routers will be doing it mostly in silicon! So a ASIC/FPGA is doing all the job inside of this router family. a SG-4860 or SG-8860 from the pfSense store. of the performance given by this device. It does not appear that this is going to be corrected anytime soon, so I am strongly considering abandoning the platform. I would prefer to have a router that can handle any speed, regardless of protocol in use. the point to call it lame or a not use able device for pfSense. I would be glad to hold a SG-4860 or SG-8860 in my hands to play around with it!!! PPPoE only use a single core ? What you mean with this "What"? Yes, at this time it uses only one single CPU core either how much CPU cores are there being. Surely not for ever and they are working on it, but at this time it so as I was reporting.